Professor Ogaba Danjuma Oche is the Director of the Research and Studies Department of the Nigerian Institute of International Affairs (NIIA), Lagos. His academic qualifications include B.A. History and Political Science (ABU); MA Political Science (Kansas); MPA Public Administration (Kansas); Ph.D. Political Science (ABU). 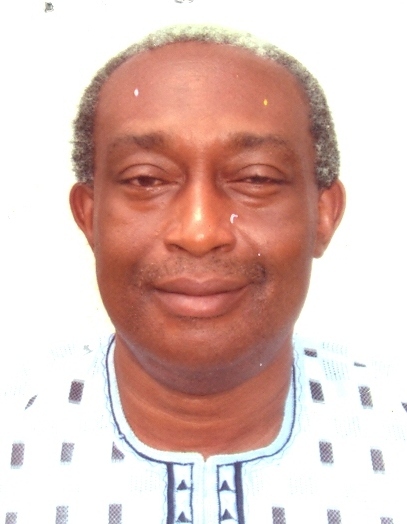 He held a lecturing position in the Department of Political Science, University of Jos, Nigeria, from 1989 to 1994. He became a Research Fellow at the NIIA in 1994. His academic backgrounds in history, comparative politics, public administration and international relations have informed his research interests and publications to a very large extent. His current areas of research interest include Nigeria’s international relations and foreign policy, international organisations, conflict studies, democratization processes, terrorism and issues in security. Some of his publications include “United Nations Peacekeeping in Africa: Issues and Problems” in African Journal of Peace and Conflict Studies (Vol. 1 No. 2, 2003) and From Dispute to Dialogue: Essays on Conflict and Conflict resolution, (Lagos, FOG Ventures, 2006). He has served as Editor of the Nigerian Forum and Editor in chief of Management Review Limited (MRL) Journal; and co-edited the book entitled Nigeria in the Global Arena: Past, Present and the Future (Lagos, FOG Ventures, 2011).